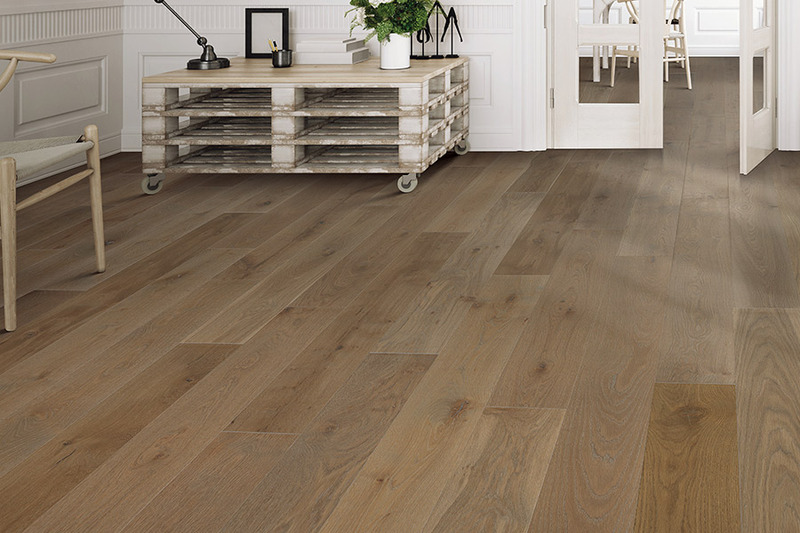 Hardwood is a highly coveted flooring material, and there’s no lack of reasons for that fact. It all starts with a lifespan that is truly one of the longest in the flooring market. With the proper care and maintenance, it can not only meet its expected end, but can even be pushed past it on occasion. 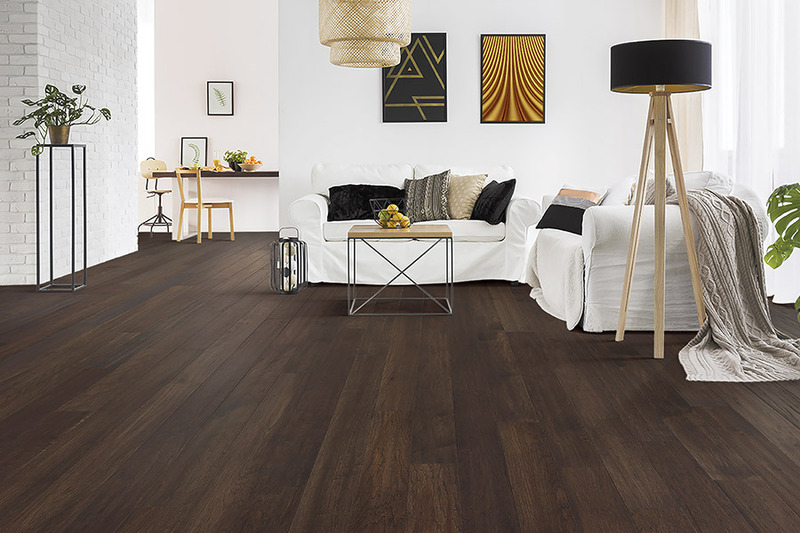 Choosing the best options for your lifestyle also adds to the flooring’s ability to really measure up, and we’ll help you figure out exactly what you need. What seems like a daunting task going in, is actually just a series of events leading up to the installation of your dream flooring. The Carpet Man Indy has been serving the communities of Marion County, Hancock County, Hamilton County, Shelby County, and Johnson County for more than 25 years. 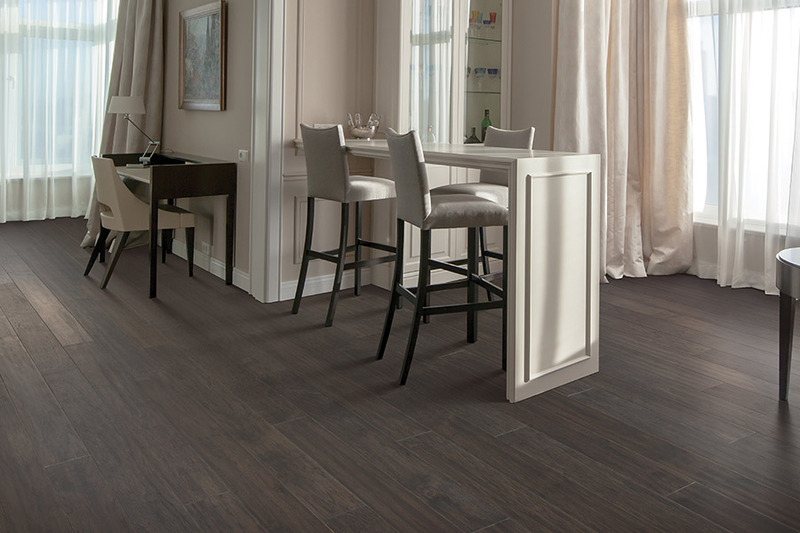 With a dedicated commitment to 100% customer satisfaction, we invite you to visit our showroom located in Indianapolis, IN, where we can help you find the flooring of your dreams. We’ll get to know you and your needs, answer any questions you have, and make sure you find something that meets those needs, as well as your budget. Lots of factors help bring all the details of hardwood flooring to life as a perfect floor covering for your home. What starts out as simple rough lumber, is turned into a spectacular floor covering that is durable and will live on for decades to come. It’s important to choose all the right options, starting with the perfect wood species. Different species are rated primarily by how soft or hard they are. The hardest species types are rated for the most active lifestyles. If you have lots of foot traffic and activity in your home, the harder the species, the better. This means it will stand up well under the stress of everyday wear and tear without coming to a premature end. In fact, the harder species can make it last well past that. It’s important for you to know, up front, that solid hardwood flooring can never be installed in spaces that are below grade. 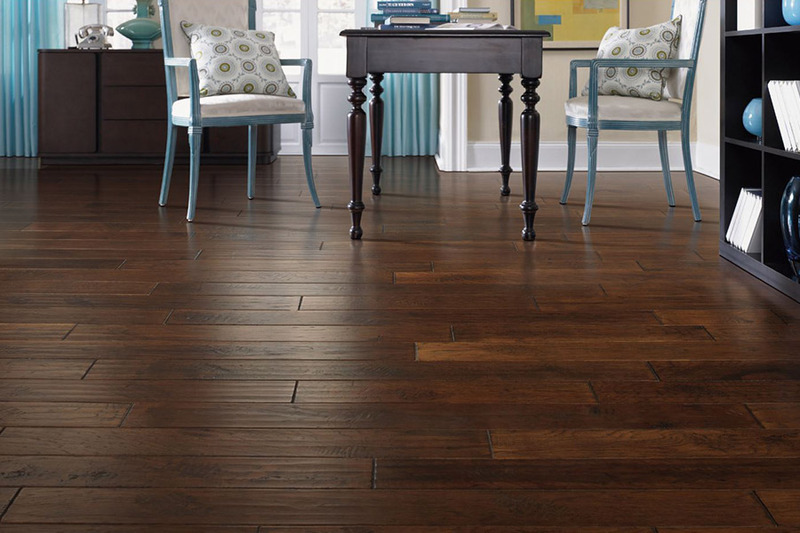 If you have rooms that are below grade that need flooring, we suggest looking into engineered flooring. This still falls under the scope of real wood flooring, but rather than being solid, it consists of a real wood veneer that is placed perfectly between a durable backing layer and a protective wear layer. It’s a great wood floor alternative in situations where the solid variety can’t be used, and still offers many of the same great benefits. The Carpet Man can provide a very broad selection of eco-friendly hardwood flooring choices to complement any home’s interior décor. 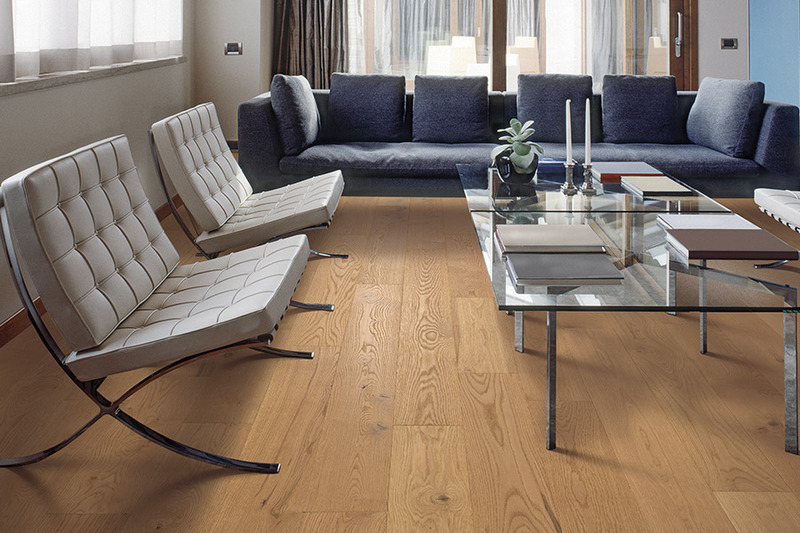 We offer a range of domestic and exotic solid hardwood choices, as well as engineered hardwood flooring. You will find samples of both hardwood types when you stop in at our showroom and store in Indianapolis, IN. We supply flooring and installation services for homeowners in Indianapolis, Brownsburg, Greenwood, Warren and other nearby Indiana communities at the lowest prices in our area. We will help you select the hardwood flooring that best fits with your new or existing interior design plan, purchase the materials and keep the cost within your allotted budget. At The Carpet Man, our aim is to help our customers make their home upgrades look elegant, timeless and appealing. Our installation team members are each State licensed and insured for your protection. We work quickly to minimize your family’s loss of the room’s use until the job is completed, and perform flooring installations in line with each manufacturer’s recommendations to protect our customer’s manufacturer’s warranties. The Carpet Man has been in the flooring industry for many years. We work hard to be certain that each and every customer is completely satisfied with the aesthetics and functionality of their new hardwood floors. After all, we surely know that a good reference from a happy customer is the best recommendation a company can get! Why opt for hardwood flooring? Today’s new hardwood floors are a big ‘step up’ for homeowners. They are available in many more designs and styles and offer an outstanding luster thanks to their polyurethane surface coating that also increases the flooring’s durability. Hardwood floors also last for many, many years and are non-allergenic. 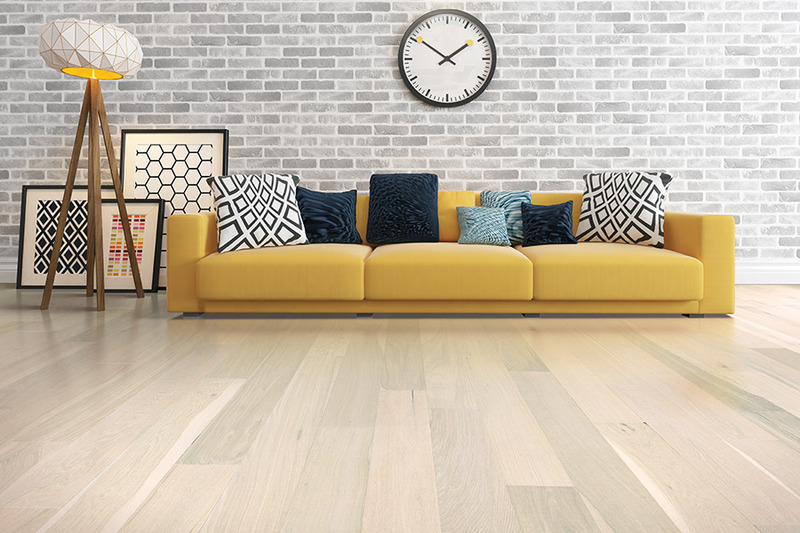 It’s also important to know that when your hardwood floor begins to look dull from years of continual foot traffic, it can be quickly and inexpensively sanded and refinished to restore its good looks, strength and resistance to stains. Finally, hardwood floors will also increase the market value of your home, an important factor if you decide to sell. Red and white oak - The most common choice. Maple - Slightly harder than Red and White oak. Brazilian cherry - Beautiful and dark and it gets darker over time. The Carpet Man will be pleased to discuss hardwood flooring materials and our professional installation services at your convenience. Visit us in Indianapolis to discuss your interest in hardwood flooring and view actual samples with one of our experienced flooring consultants.